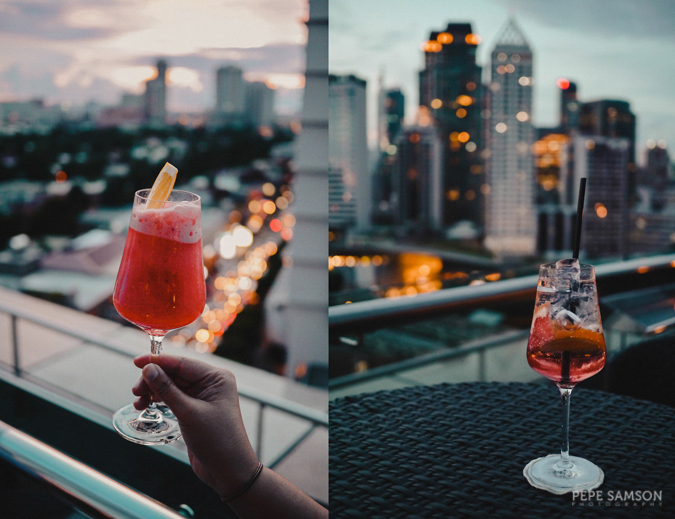 There’s no shortage of drinking venues around the metro ready to satiate the thirst of city dwellers, but nothing beats rooftop bars offering unique atmospheres and spectacular views. 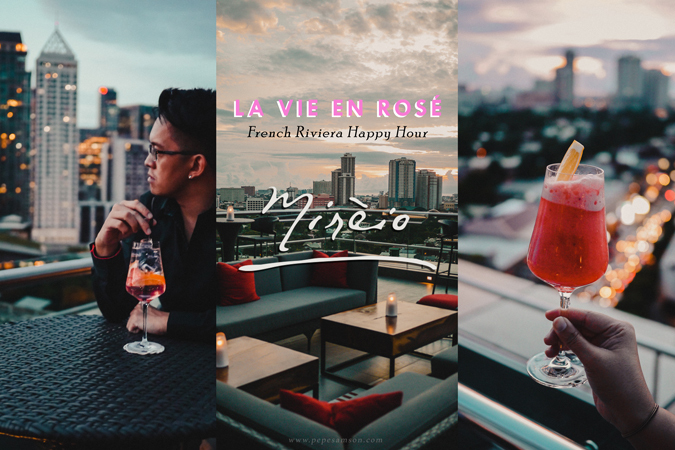 Mireio Terrace, situated in Raffles Makati, is one of them—and should be among your top choices when you’re craving for that after-work chill session over exquisite bites and cocktails (complete with a stunning sunset and a stylish ambience). 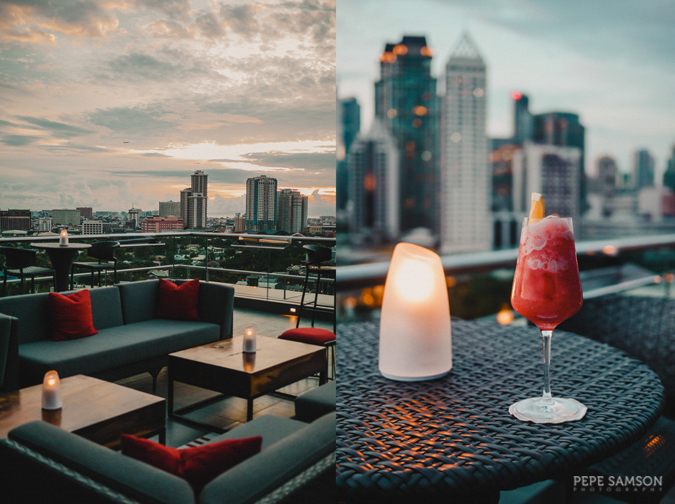 The roofdeck lounge, accessible via the Provençal-inspired brasserie bearing the same name, is a favorite hangout spot of globetrotting businessmen and laid-back professionals. I think it’s an instant favorite of mine too! 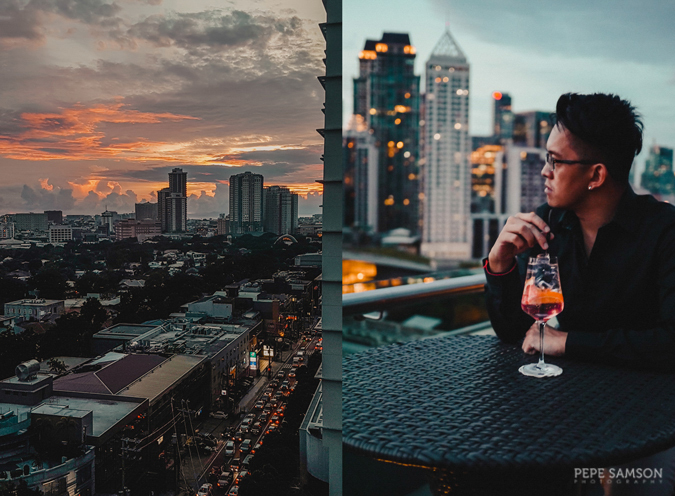 The bar has a sweeping view of Makati City, and it’s amazing how the sky turns from a dull grayish blue to a glowing orange or pink shade, and how the city lights awaken one by one—a scene best enjoyed with a cocktail (and your camera). Taking full advantage of this asset, Mireio offers Happy Hour promotions on a regular basis—and until the end of November, it’s all about the French Riviera! 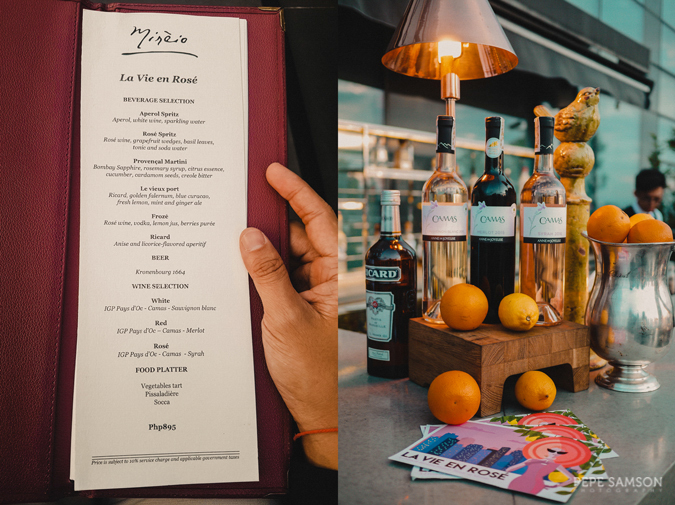 The La Vie En Rosé, Mireio’s newest offering, features wines from the South of France with a special highlight on rosé. 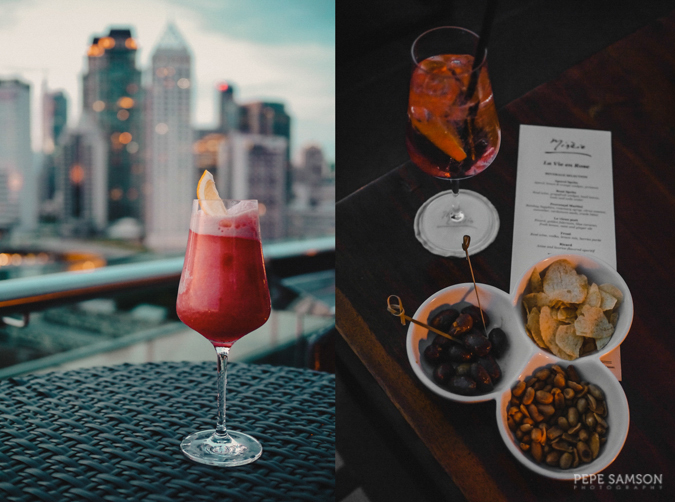 Enjoy refreshing cocktails infused with rosé like the Rosé Spritz, Aperol Spritz, and Frozé (rosé, vodka, lemon, berries puree). Craving for a stronger drink? Get the Provençal Martini made with Bombay Sapphire, rosemary syrup, citrus essence, cucumber, cardamom, and creole bitters. Feeling adventurous? Order the Ricard Pastis, an anise and licorice-flavored aperitif, or try the Vieux Port, made with Ricard and blue curacao, fresh lemon, mint, and ginger ale. You can also enjoy the wines (red, white, rosé) on their own, as well as the French beer Kronenbourg 1664. The promo is available daily from 5:00 to 8:00PM at PhP895/head, and it already includes unlimited drinks and a round of canapes. Considering the price of one cocktail at Mireio alone (*wink*), this is such a steal (NO KIDDING)! 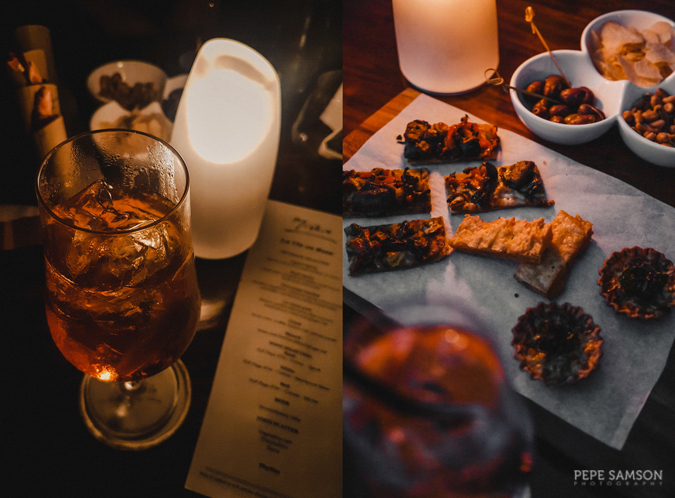 So round up your cliques and head over to Raffles Makati for a luxe happy hour experience. Have you been to Mireio? What did you think about it? 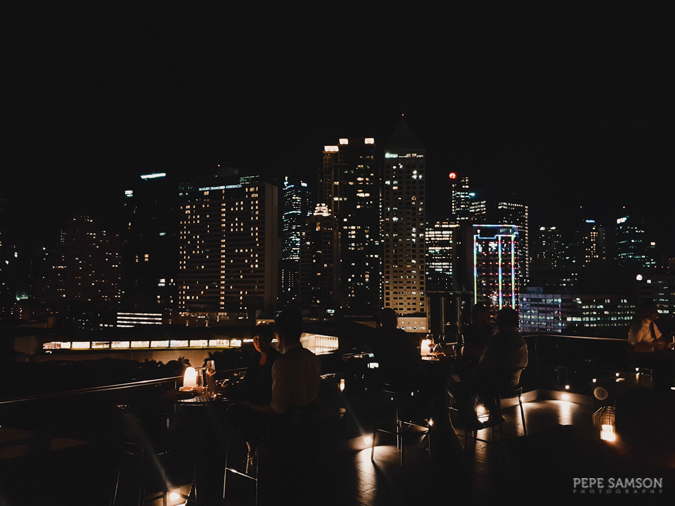 What is your favorite rooftop bar in Manila?